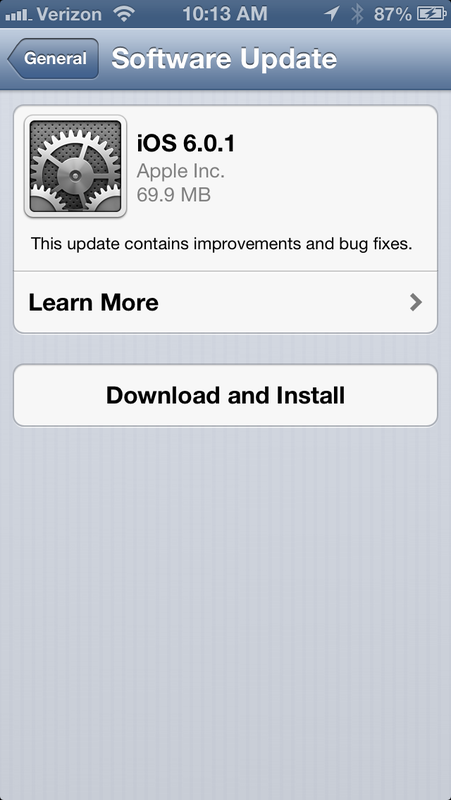 Apple has released the iOS 6.0.1 update for its portable devices. 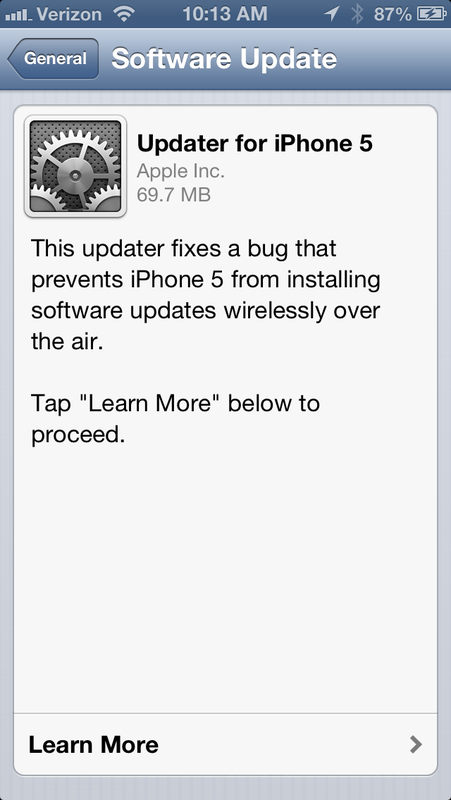 The update is rolling out now on Apple’s servers and over the air. You should be able to get the update on your devices over the air, but if you have an iPhone 5, there is an intermediate update that enables the automatic upgrade. 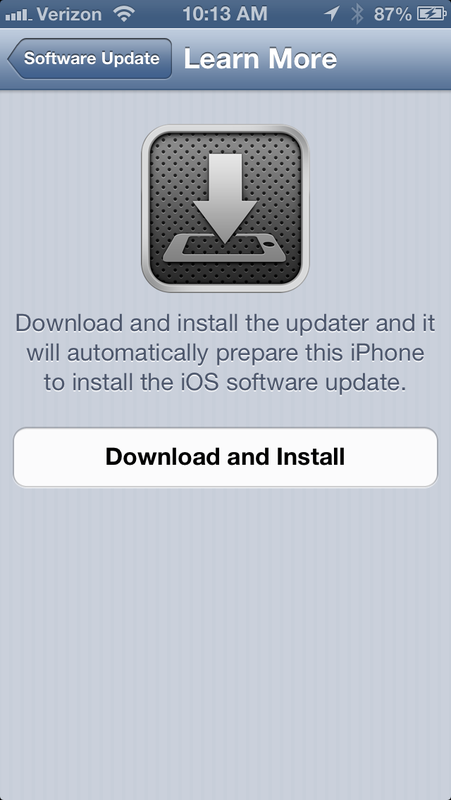 Once you download the app, tap on its icon on your home screen to run it and it will update your iPhone 5 device. Once that bug has been patched, you can run the standard software updater, which will grab the update over the air as normal. 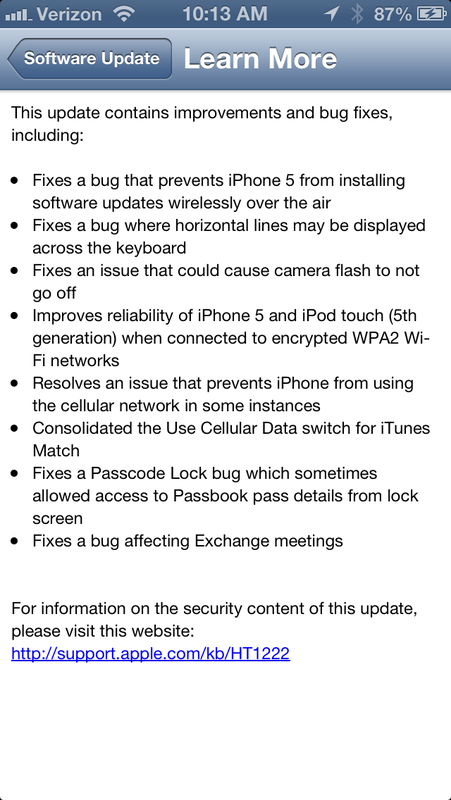 Among the fixes are improvements for WiFi connectivity for iPhone 5 and iPod touch 5 when used on WPA2 encrypted networks. This is welcome, as I’ve seen poor performance on my 5 when used this way. 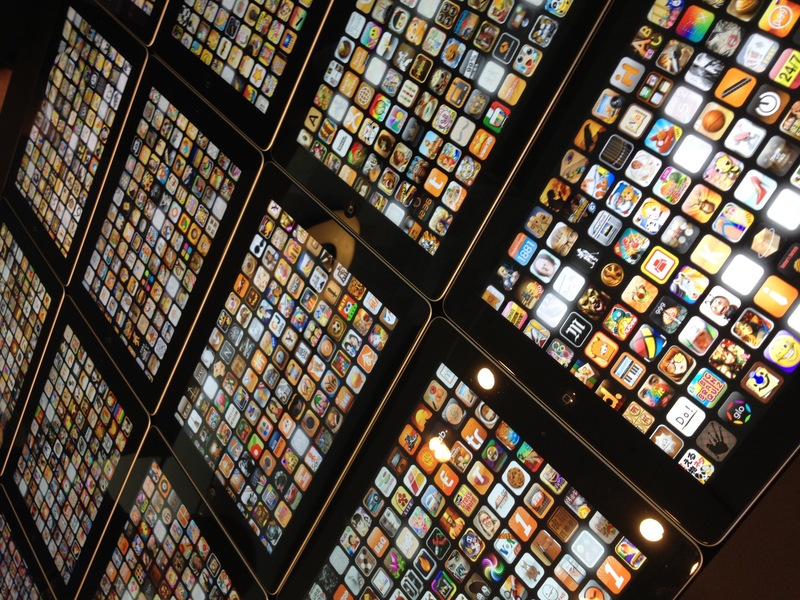 As we reported last month, the keyboard glitches seen on iPhone 5 devices were indeed a software problem. Those have been fixed in this update, as well as a bug that I heard reported by some where the flash would not go off. A Passbook behavior that allowed you to flip a pass to view details even if it was launched from a locked iPhone has also been fixed. It’s necessary to be able to launch the pass from a locked phone, just for convenience, but it should never have given access to the details of the pass.